Sony Pictures Home Entertainment has decided to reissue the “Spider-Man” Trilogy in lieu of this summer’s reboot “The Amazing Spider-Man”. The film is presented in a nice individual O-Ring package. In addition, this release includes a bunch of great features including an Ultraviolet streaming digital copy. Also their is a sneak peek included for “The Amazing Spider-Man”, as well as “The Amazing Spider-Man” movie money (worth $10 bucks). I enjoyed “Spider-Man 2” but I thought it was a loud and started the trend of Spider-Man crying (a lot). If you are a fan of the “Spider-Man” series and do not already own this, I would recommend for sure though. The Blu-ray presentation is impressive. “Spider-Man 2” really amped up the visual effects from the first one. The 1080p transfer looks fantastic and is presented in its original aspect ratio of 2.39:1. The audio track included on this release though is different from past releases. Included is an DTS-HD Master Audio 5.1 track instead of the prior release which included PCM 5.1 Surround and Dolby TrueHD 5.1 Surround tracks. The special features on “Spider-Man 2” are very impressive. Besides the theatrical cut of the film, this release also includes the extended version, 2.1, with additional footage and fight sequences not seen in theaters. This cut also comes equipped with optional commentary by producer Laura Ziskin and screenwriter Alvin Sargent. On the theatrical version there are two other commentaries with cast and crew and a technical commentary. If you are a fan of featurettes, this release is jam-packed. There is a twelve-part “Making the Amazing” featurette, “Hero in Crisis” behind-the-scenes featurette and “Ock-Umentary” behind-the-scenes featurette. There is a fantastic five-part visual effects breakdown, which is worth a watch. Lastly there is a blooper reel included. Sony Pictures Home Entertainment has decided to reissue the “Spider-Man” Trilogy in lieu of this summer’s reboot “The Amazing Spider-Man”. The film is presented in a nice individual O-Ring package. In addition, this release includes a bunch of great features including an Ultraviolet streaming digital copy. Also their is a sneak peek included for “The Amazing Spider-Man”, as well as “The Amazing Spider-Man” movie money (worth $10 bucks). If that is not enough there is still more…this release also comes with a few new special features including ‘Spider Sense Trivia Challenge” and “The Spider-Man Cutting Room”. I personally have always enjoyed “Spider-Man”, the most out of the trilogy. If you are a fan of the “Spider-Man” series and do not already own this, I would recommend for sure. The Blu-ray presentation is impressive, as “Spider-Man” is a film meant for a high-def presentation. The 1080p transfer looks fantastic and is presented in its original aspect ratio of 1.85:1. The audio track included on this release though is different from past releases. Included is an DTS-HD Master Audio 5.1 track instead of the prior release which included PCM 5.1 Surround and Dolby TrueHD 5.1 Surround tracks. The rest of the extras include three audio commentaries. The first consists of filmmakers and cast: Sam Raimi, Laura Ziskin, Grant Curtis, and Kirsten Dunst. The second includes Visual effects designer and crew: John Dykstra and special effects crew and the last includes actors: Tobey Maguire and J.K. Simmons. There are various behind-the-scenes features including “Spider-Man: The Mythology of the 21st Century”, “HBO Making of Spider-Man” and “Spider-Mania: E! Entertainment Special”. There are eight behind-the-scenes featurettes additional including a costume design featurette. There is a filmmaker profiles for director Sam Raimi and a composer profile for Danny Elfman. There is screen tests included for Tobey Maguire, J.K. Simmons, and CGI Spider-Man, as well as costume and makeup tests. There is gag/outtake reel included. There are six multi-angle webisodes included. Lastly there are two music videos for “Hero,” performed by Chad Kroeger and featuring Josey Scott and “What We’re All About,” performed by Sum 41. Sony Pictures Home Entertainment has decided to reissue the “Spider-Man” Trilogy in lieu of this summer’s reboot “The Amazing Spider-Man”. The film is presented in a nice individual O-Ring package. In addition, this release includes a bunch of great features including an Ultraviolet streaming digital copy. Also their is a sneak peek included for “The Amazing Spider-Man”, as well as “The Amazing Spider-Man” movie money (worth $10 bucks). I am not a fan of this film at all but it does have a lot of perks in this release and looks and sounds the best. So if you want to complete the trilogy on Blu-ray, this is the release to get. This Blu-ray consists of the best release of the three films. It packs the best video and audio presentation out of the trilogy. The 1080p transfer looks fantastic and is presented in its original aspect ratio of 2.39:1. 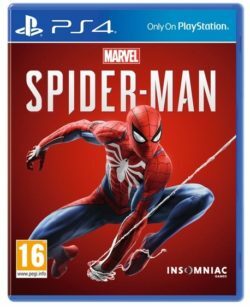 The audio track plays similar to the past releases unlike recent 2012 re-releases of “Spider-Man” and “Spider-Man 2” including LPCM 5.1 and Dolby TrueHD 5.1 tracks. The special features for “Spider-Man 3” are not as grand as the first two films and falls short like the film itself. In fact, the past Blu-ray for this film has actually provided better features. There are two commentaries tracks included. The first is a director and cast track with Sam Raimi, James Franco, Tobey Maguire, Kirsten Dunst, Thomas Hayden Church and Bryce Dallas Howard. Second, there is a filmmaker’s track with producers Avi Arad, Grant Curtis, Laura Ziskin, visual effects supervisor Scott Stokdyk and editor Bob Murawski. There are two photo galleries focusing on concept art and special effects. There is a blooper reel like the first two films. Lastly there is a music video for “Signal Fire,” performed by Snow Patrol.